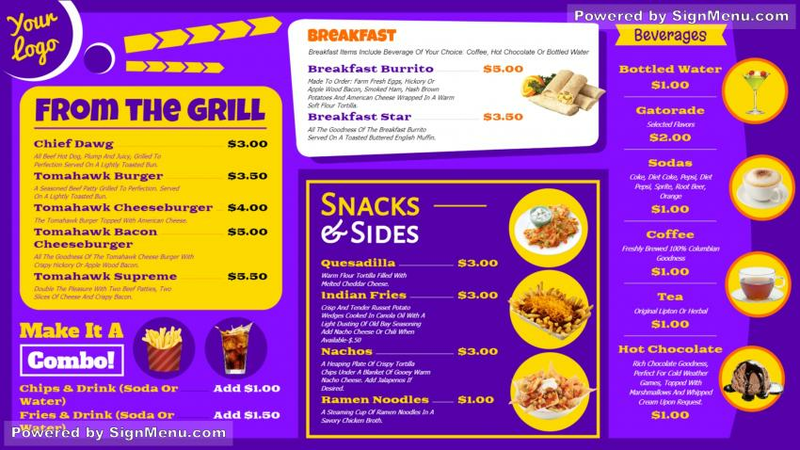 The restaurant menu board design template comes in bright colors so that no one can avoid it. The layout is full of pictures along with the names of dishes and their prices. The font is small but is clear and readable. There is place for the logo at the top. The template is easily downloadable and quick to save also.